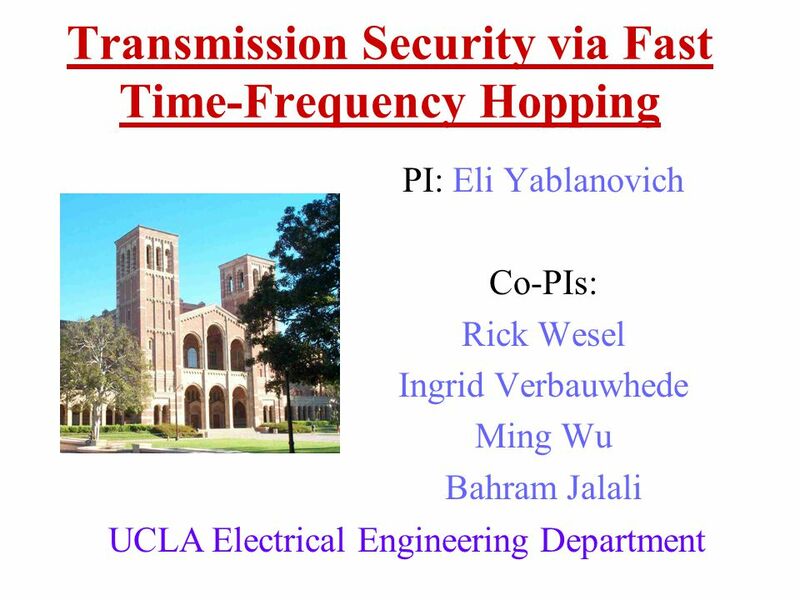 Transmission Security via Fast Time-Frequency Hopping PI: Eli Yablanovich Co-PIs: Rick Wesel Ingrid Verbauwhede Ming Wu Bahram Jalali UCLA Electrical. 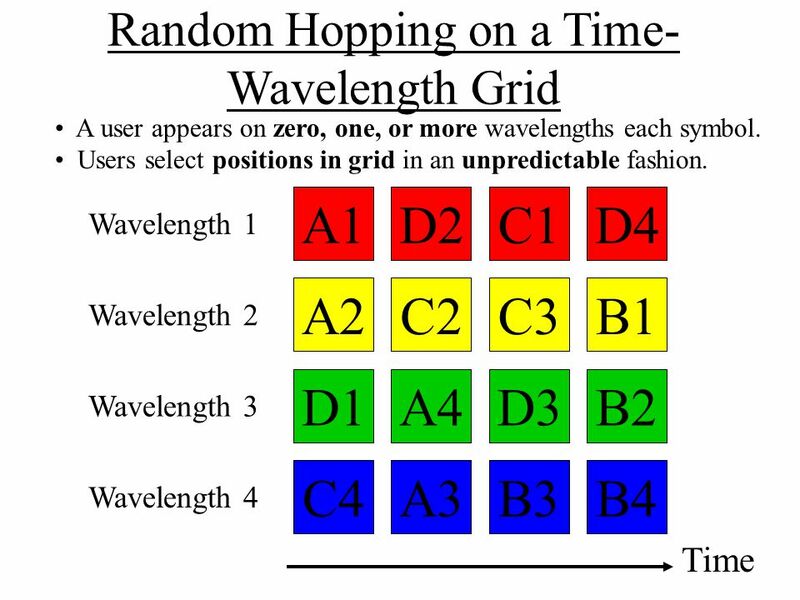 4 Wavelength 1 Wavelength 2 Wavelength 3 Wavelength 4 A1D2C1D4 A2C2C3B1 D1A4D3B2 C4A3B3B4 Time Random Hopping on a Time- Wavelength Grid A user appears on zero, one, or more wavelengths each symbol. 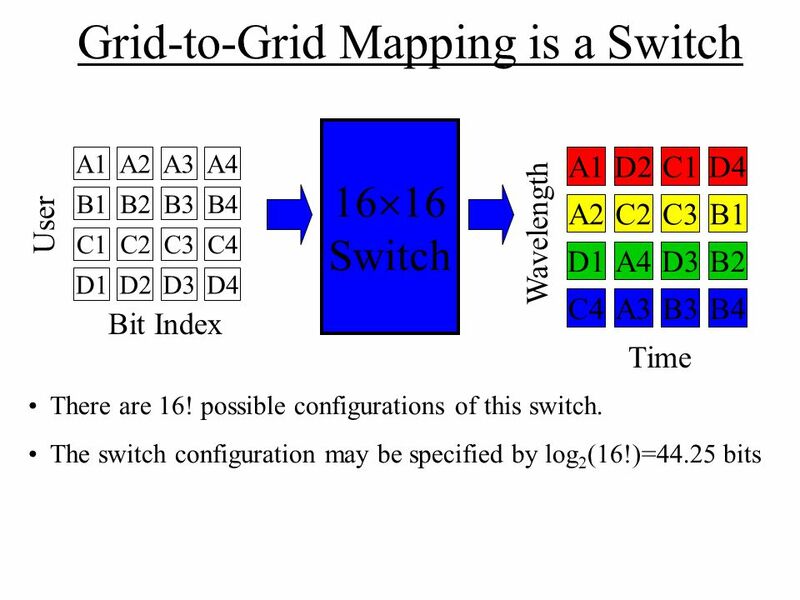 Users select positions in grid in an unpredictable fashion. 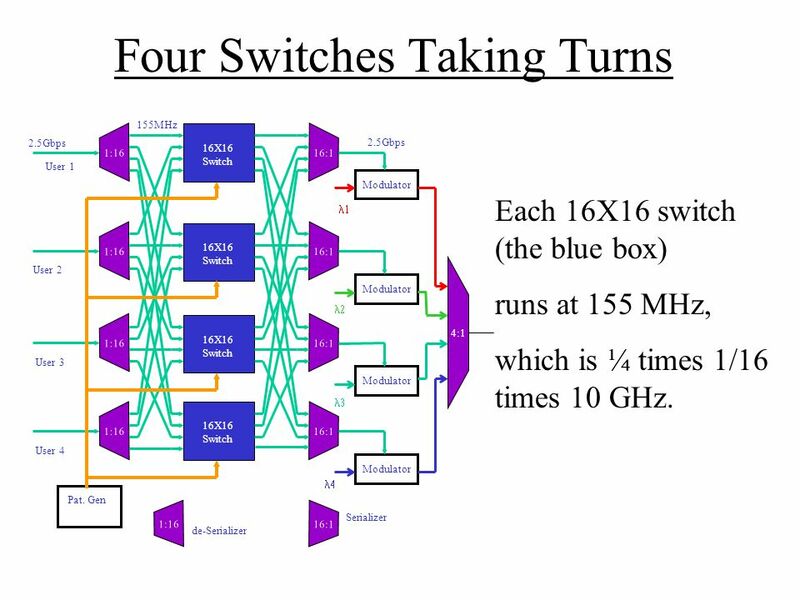 8 Four Switches Taking Turns Pat. 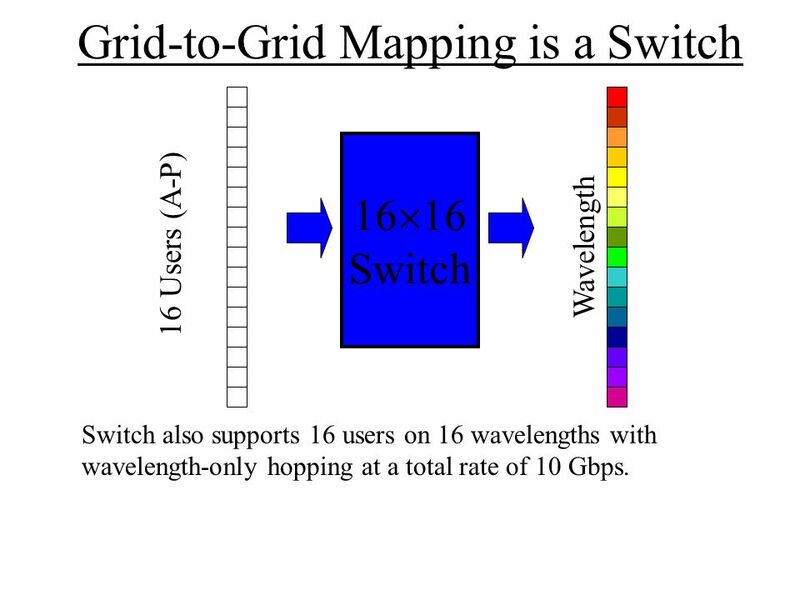 Gen 16X16 Switch 155MHz 2.5Gbps User 1 User 2 User 3 User 4 4:1 Modulator   1:16 16:1 2.5Gbps 16X16 Switch   16X16 Switch 16X16 Switch de-Serializer Serializer 1:16 16:1 Each 16X16 switch (the blue box) runs at 155 MHz, which is ¼ times 1/16 times 10 GHz. 10 What Kinds of Security Are Possible? Security by Obscurity –This is no security at all. Obscurity is fleeting. 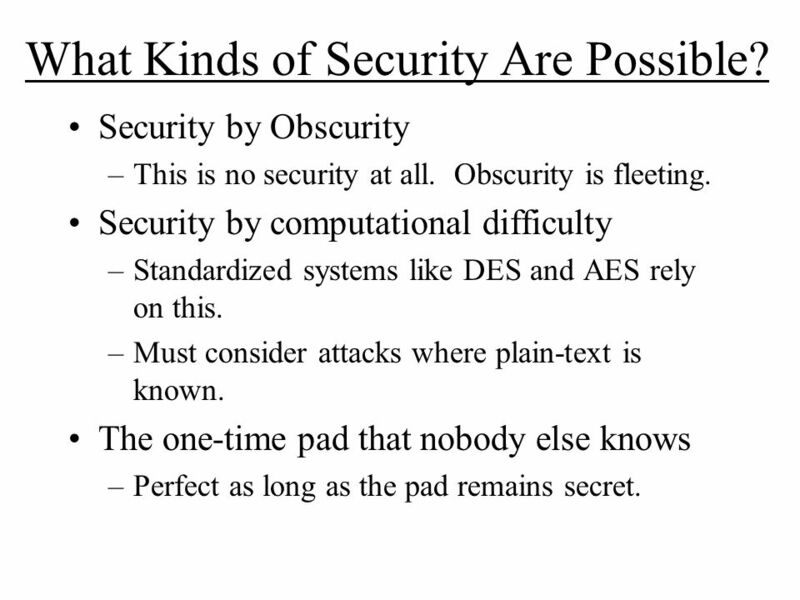 Security by computational difficulty –Standardized systems like DES and AES rely on this. –Must consider attacks where plain-text is known. The one-time pad that nobody else knows –Perfect as long as the pad remains secret. 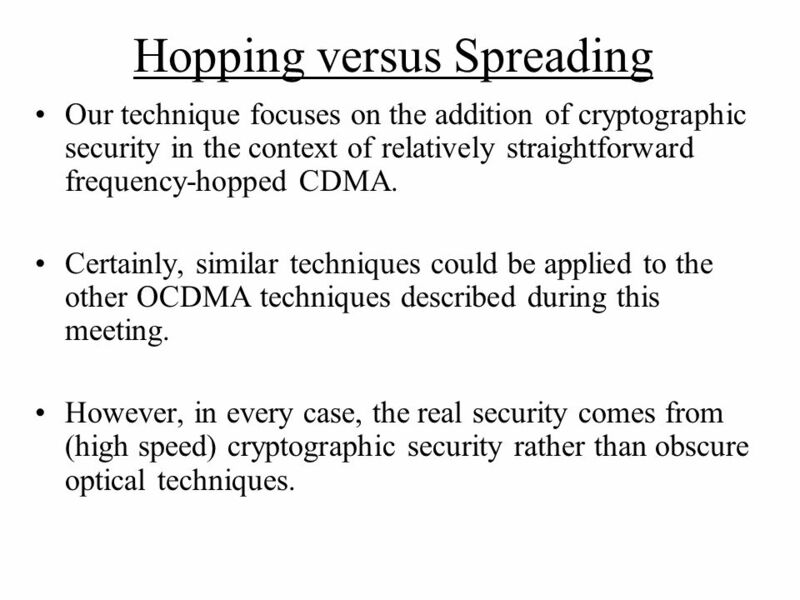 11 Hopping versus Spreading Our technique focuses on the addition of cryptographic security in the context of relatively straightforward frequency-hopped CDMA. Certainly, similar techniques could be applied to the other OCDMA techniques described during this meeting. However, in every case, the real security comes from (high speed) cryptographic security rather than obscure optical techniques. 12 Network Security Most sophisticated security techniques add security at the source only (application layer). 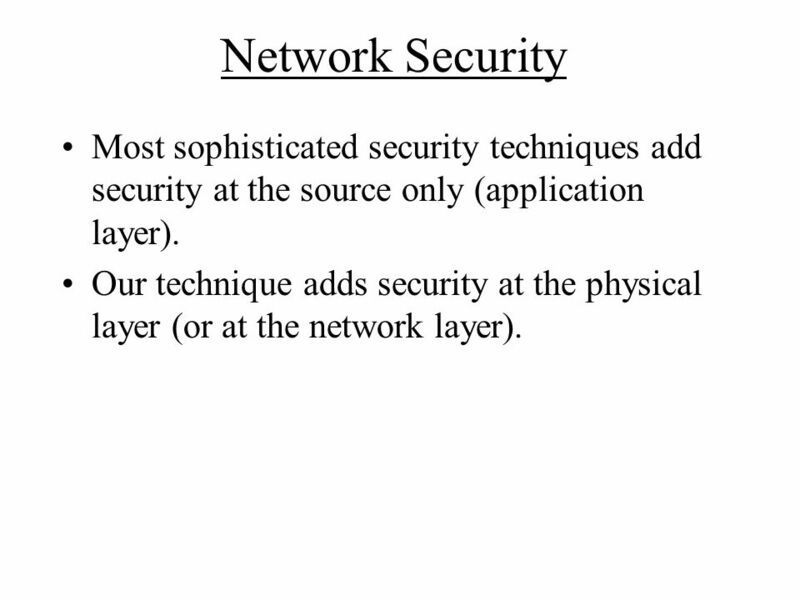 Our technique adds security at the physical layer (or at the network layer). 13 Why Have Network Security? 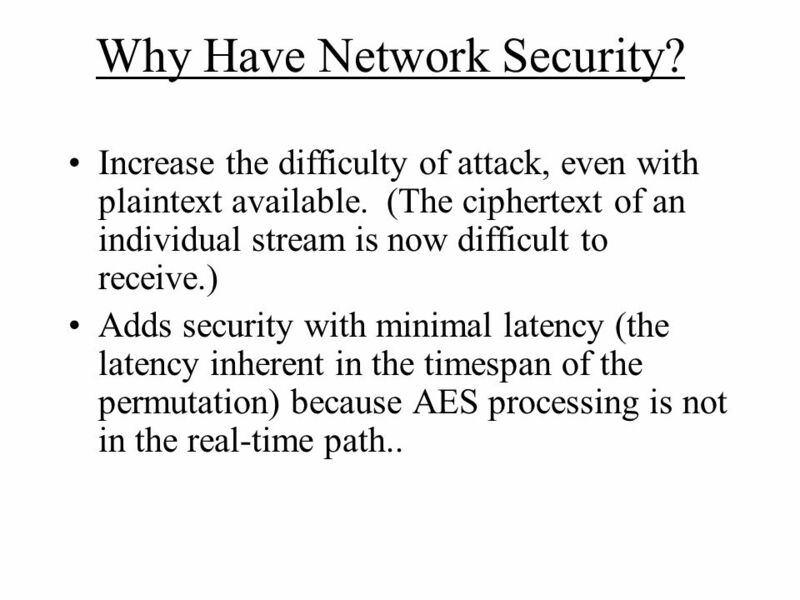 Increase the difficulty of attack, even with plaintext available. (The ciphertext of an individual stream is now difficult to receive.) 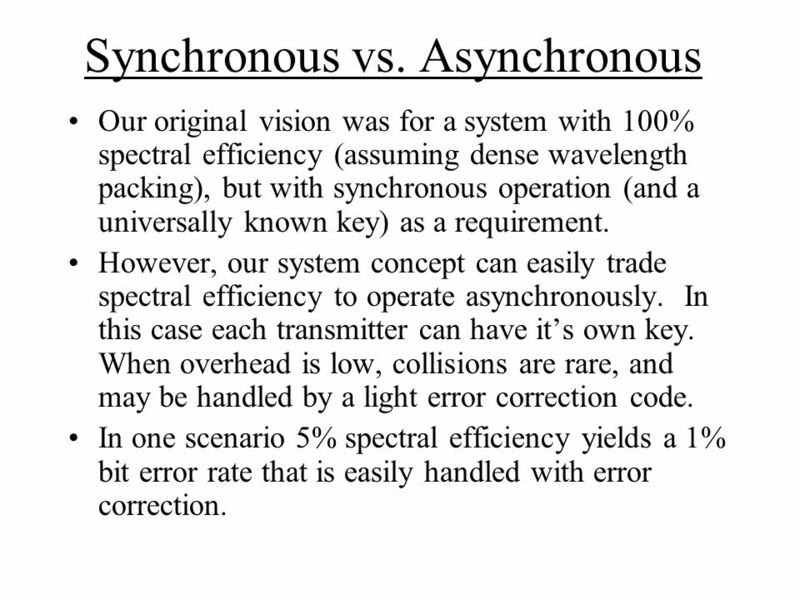 Adds security with minimal latency (the latency inherent in the timespan of the permutation) because AES processing is not in the real-time path..
14 Synchronous vs. Asynchronous Our original vision was for a system with 100% spectral efficiency (assuming dense wavelength packing), but with synchronous operation (and a universally known key) as a requirement. 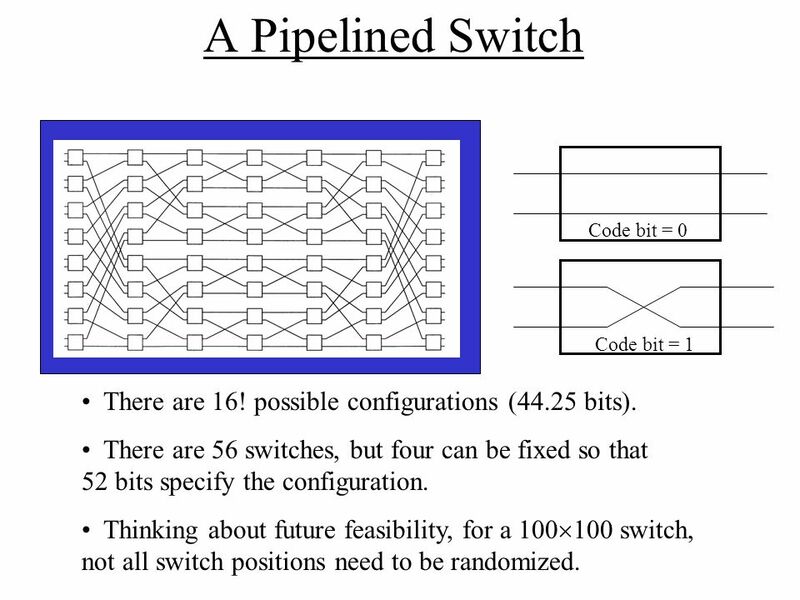 However, our system concept can easily trade spectral efficiency to operate asynchronously. In this case each transmitter can have it’s own key. When overhead is low, collisions are rare, and may be handled by a light error correction code. In one scenario 5% spectral efficiency yields a 1% bit error rate that is easily handled with error correction. Download ppt "Transmission Security via Fast Time-Frequency Hopping PI: Eli Yablanovich Co-PIs: Rick Wesel Ingrid Verbauwhede Ming Wu Bahram Jalali UCLA Electrical." Ultra-Fast Wavelength-Hopping Optical CDMA Principal Investigator: Eli Yablonovitch; Co-PI’s: Prof. Rick Wesel, Prof. Bahram Jalali, Prof. Ming Wu Electrical. LINEAR FEEDBACK SHIFT REGISTERS, GALOIS FIELDS, AND STREAM CIPHERS Mike Thomsen Cryptography II May 14 th, 2012. CS 483 – SD SECTION BY DR. DANIYAL ALGHAZZAWI (3) Information Security. 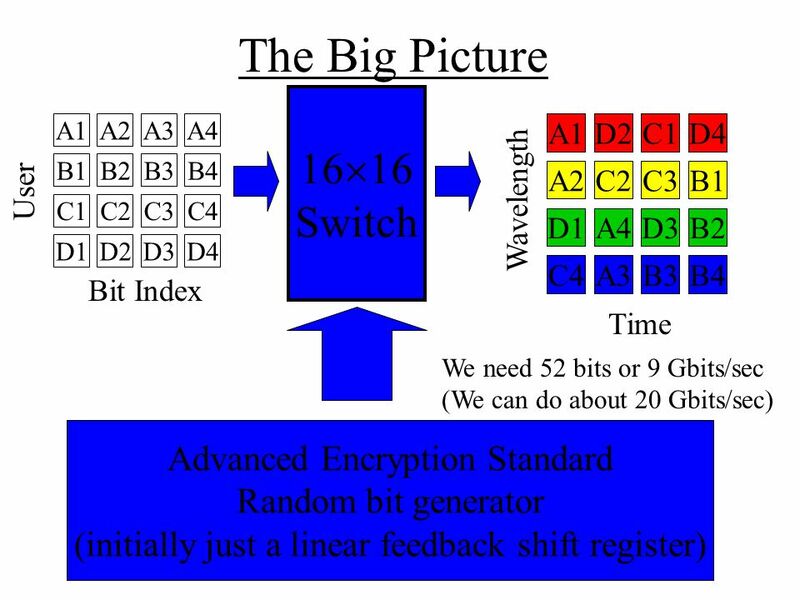 1 Lecture 3: Secret Key Cryptography Outline concepts DES IDEA AES. 1 CIS 5371 Cryptography 5b. Pseudorandom Objects in Practice Block Ciphers. Computer Science CSC 474By Dr. Peng Ning1 CSC 474 Information Systems Security Topic 2.1 Introduction to Cryptography. 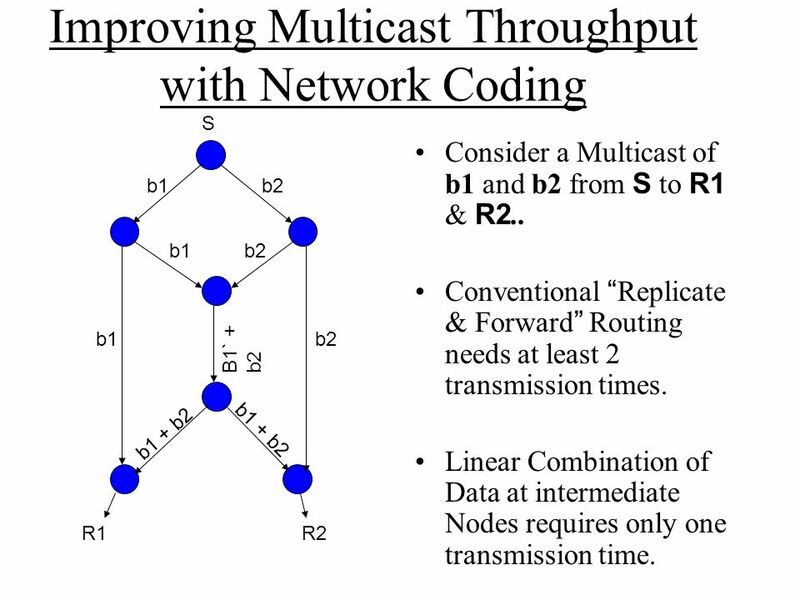 UCLA Progress Report OCDMA Channel Coding Jun Shi Andres I. Vila Casado Miguel Griot Richard D. Wesel UCLA Electrical Engineering Department-Communication. 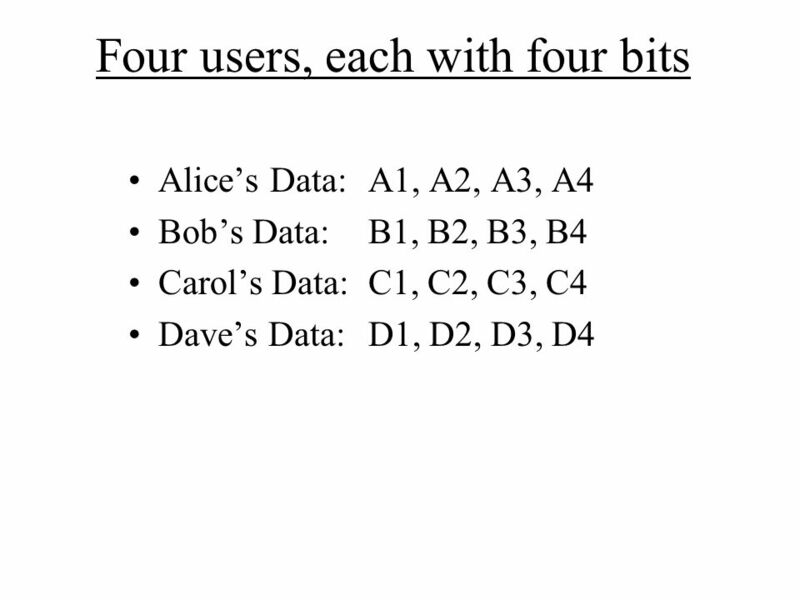 Point-to-Point Privacy Protect the privacy of a point-to-point communication between Alice and Bob assuming that an eavesdropper (Eve) has access to the. EEC 693/793 Special Topics in Electrical Engineering Secure and Dependable Computing Lecture 5 Wenbing Zhao Department of Electrical and Computer Engineering.